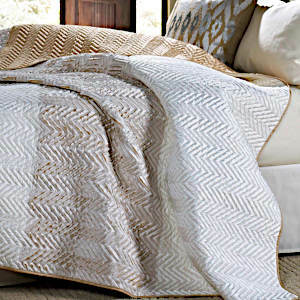 Cloud9 Design Tangier Quilt & Matching Shams - Swatches may be available. 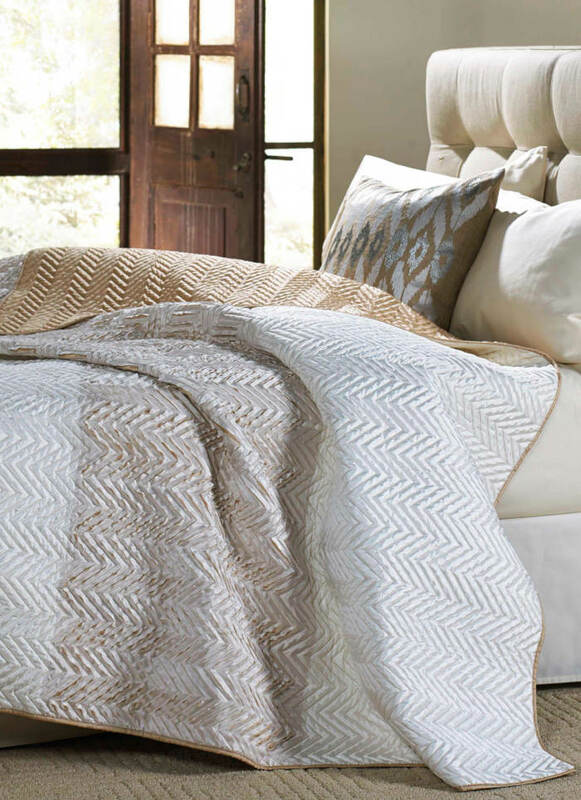 Ivory quilt (cotton fill) with beige cut out chevron pattern and matching standard shams. Dry clean only. Fully refundable and returnable fabric samples are available for viewing in your own settings.